We were pleased to learn of a Cuba immersion cruise. 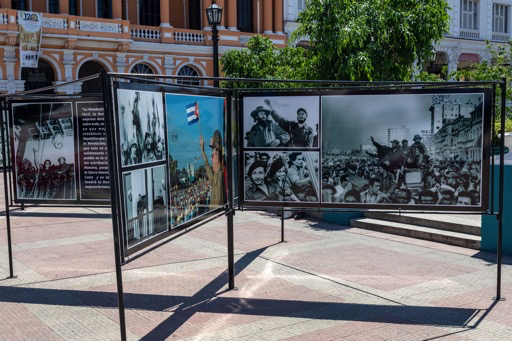 Cuba has been a bucket list trip for a long time. I was hopeful that we’d be able to spend some time there when things opened up a couple of years ago, but unfortunately things were clamped down again in 2017 with the new administration. 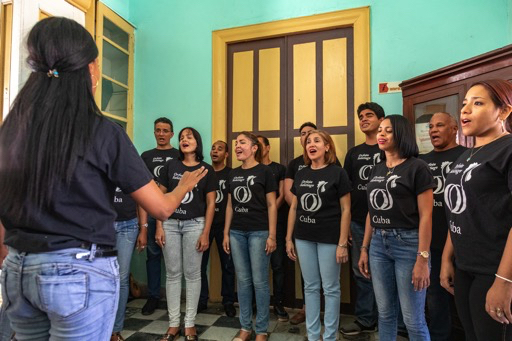 When Regent offered a trip with six days of Cuba venues we jumped. We sailed from Miami and our first excursion was supposed to be snorkeling out of Nassau.This was cancelled due to rough weather (nothing like the recent storms in Norway) so we wandered around old Nassau instead. Anything within walking distance from the pier was a tourist trap but it was nice nonetheless. 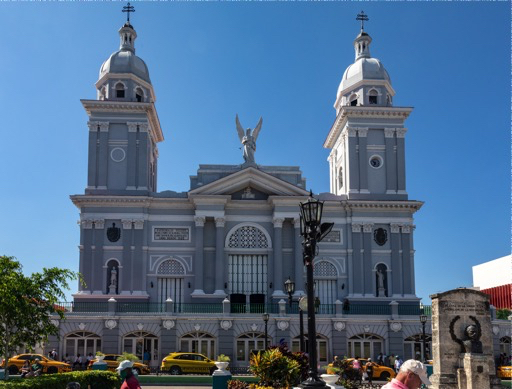 We set sail that afternoon for Santiago de Cuba, the oldest (founded 1515) and second largest city in Cuba, located near the far southeastern edge of the island. The main square is called Céspedes Park. It is home to Cuba’s only Cathedral, the Casa Granda Hotel and lots of signs and photos highlighting its place in the revolution. Fidel Casto proclaimed victory from a balcony on this square. We took a side trip to a town near a former copper mine. It was so central to life in the town that the town is called El Cobre (the copper). 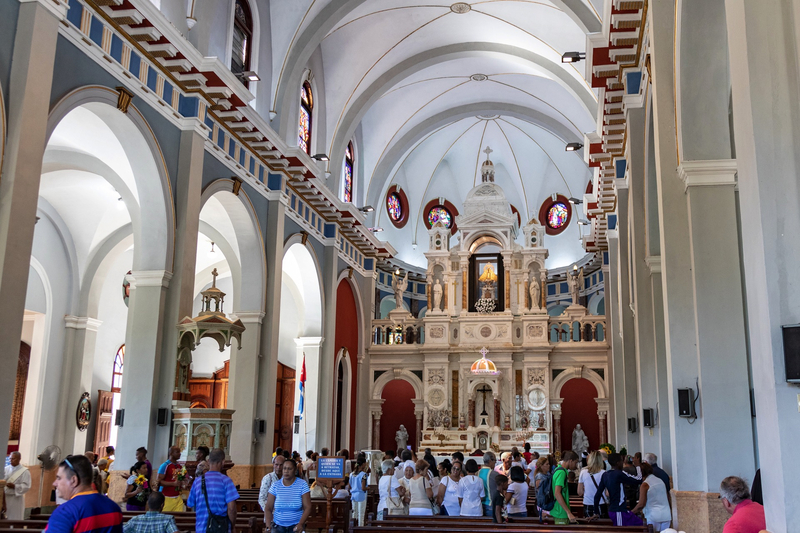 The El Cobre basilica is home to the patron saint of Cuba, the Virgen de Caridad, and is a well-loved pilgrimage site. It is also used for Quinceañera parties for 15 year old girls. 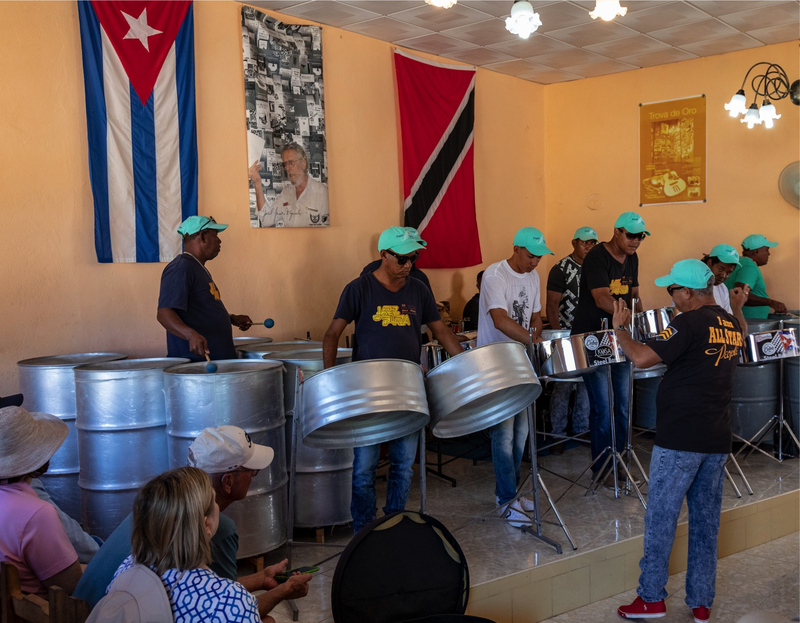 We also visited the country’s best steel drum band (La Steel Band del Cobre). They were fantastic. They have a broader repertoire than I expected which ranged from local songs to the Beatles and Michael Jackson. 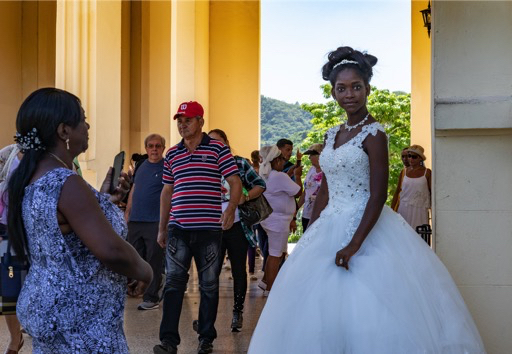 Our cultural exchanges were the highlight of Santiago de Cuba. Te professional Orfeon Choir gave us a small taste of the vocal talent in this city. Amazing.